New Zealand captain Kane Williamson heaped praise on Sri Lanka's Thisara Perera after his stunning 74-ball 140 almost single-handedly dragged the tourists towards an unlikely victory. In response to the Black Caps' 319/7, which included excellent knocks from Colin Munro (87), Ross Taylor (90) and James Neesham (64), the tourists were bowled out for 298, and were it not for Perera's magnificent display of power-hitting, then the scorecard could have once again been bleak reading for the Sri Lankans. 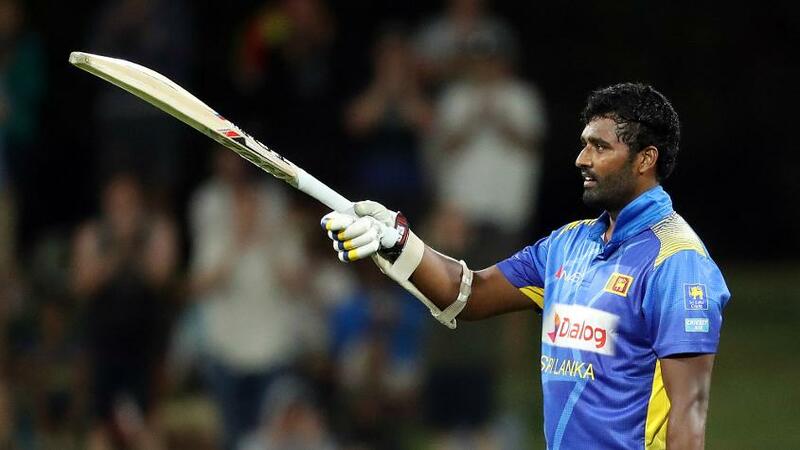 Perera, who notched his debut ODI ton in what was his 147th appearance in the format, smashed a phenomenal 13 sixes and eight boundaries before becoming the final batsman to perish. Danushka Gunathilaka (71) was the only other Sri Lankan player in the side to pass 20. For New Zealand, Neesham's rapid 37-ball 64 - his second quick-fire 50 in two games - was crucial to the home side's lofty target, and Williamson recognised the swashbuckling, innovative efforts provided by both Neesham and Perera speaking to TV cameras after the game. "Jimmy's (Neesham) played outstandingly well," Williamson said. "On these sorts of surfaces, those 300+ scores and 350+ scores are important, and you need a guy like Jimmy or Thisara (Perera) coming out. This is sort of the new age of one-day cricket." While lamenting drops in the field, Williamson was full of praise for Perera, likening his spirited and highly skilled, yet ultimately fruitless knock to Marcus Stoinis' unbeaten 146 in Australia's six-run defeat at the hands of New Zealand in Auckland back in 2017. "Perera played absolutely out of his skin, and actually reminded me of Stoinis at Eden Park. It was all sort of landing in one direction for a bit there, and we all had a go (dropped catches). It was frustrating. If we did hold our catches, we'd have reflected on it differently," said the home skipper. "On top of that, Thisara kept putting us under pressure. We pride ourselves on our fielding and it's something we need to move on quickly from before Nelson." Perera was understandably delighted with his knock, but was quick to credit Sri Lanka's coaching staff for their decision to promote him up to No. 7 and for their persistent throw-downs in practices. "I am really proud of myself because it's my first century. For the last eight years I've been batting at No. 8, and thanks go to the coaching staff for pushing me up to No. 7. I should give them a present," he said. "I was not thinking anything. I had to take the responsibility throughout. I told Nuwan (Pradeep) and (Lakshan) Sandakan to just play five or six balls. I should thank Chandika Hathurusingha and Thilan Samraweera - they were throwing throwing throwing to me. Credit goes to these two." Newly promoted Sri Lanka skipper Lasith Malinga was over the moon for his compatriot, but highlighted where his team need to improve going into the third and final ODI in Nelson. 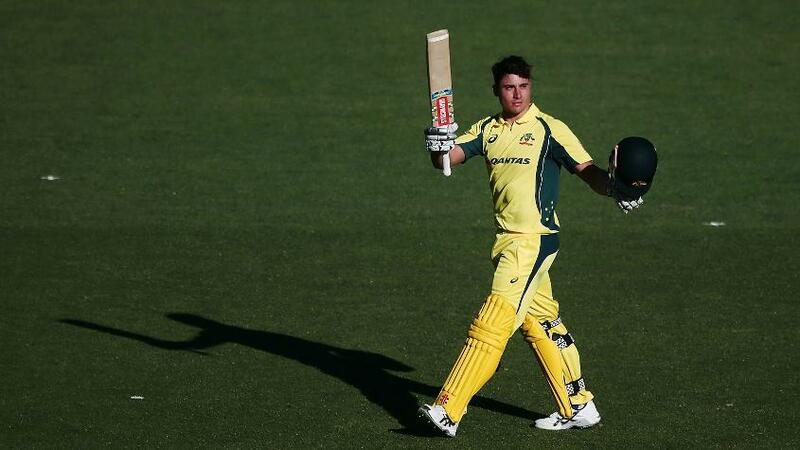 "Thisara played an unbelievable innings. I always feel he is a match-winning player and he almost did it for Sri Lanka. We are really happy for him," said Malinga. "We needed to get a good middle order partnership but we missed that and that is why we lost the match in this situation. We have to prepare mentally for the situation and conditions." Sri Lanka will look to grab a consolation in the final bout in Nelson on Tuesday, 8 January, while Williamson's side will be looking for a clean sweep.